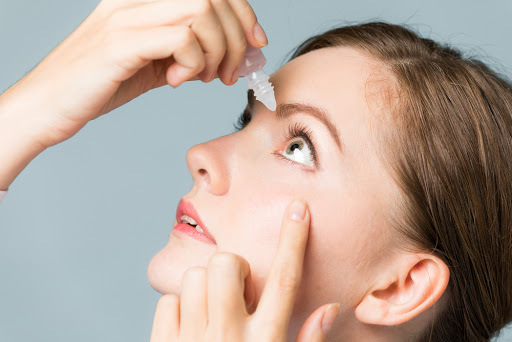 A wide variety of eyewashes are available, and boric acid is found in most of them as an ingredient. Let’s dig up the reason for including boric acid in eyewashes. Also, we will discuss whether boric acid eye washes are safe or not and the possible side effects. Boric acid has cleansing and antiseptic properties. In its natural form, it appears as white or colorless crystal or powder. If ingested, the preparations of boric acid can be toxic but the concentration of boric acid in the eye washes available in the drug stores is very low, and, so it is not harmful to our eyes. Antimicrobial and antiseptic- Being a mild antifungal and anti-bacterial boric acid prevents the growth of fungi and bacteria in the eye. A buffering agent– Boric acid acts as a buffering agent and balances the pH level. Tonicity–adjusting agent– Our body fluids contain dissolved molecules that move from higher to lower concentration. The eyewash solution that we use should match the concentration of these dissolved molecules in our eyes. Boric acid being a tonicity-adjusting agent provides an environment that is chemically compatible with the eye environment. Since centuries boric acid has been used to treat bacterial and fungal eye issues. It is also used to get rid of foreign matter in the eyes. Boric acid eye wash soothes the inflamed eyes. Eye wash containing boric acid can be used to clean your eyes and to soothe eye irritation, dryness, burning and itchiness. You can use it in case of eye allergies and eye irritation caused due to chlorinated water or foreign objects in the eye. Also, it treats eye infection due to virus, fungi and bacteria. Turn your head back to look at the ceiling. Turn the bottle of eye wash upside down. With one hand position the bottle above your one eye making sure it doesn’t touch the eye surface. With the other hand pull the lower eyelid of the eye down. Squeeze the bottle gently and pour the drops of the eye wash in your eyes as instructed by your doctor or instructions mentioned on the package. Pour the eye drop in the eyes and then close your eyes for minute. If you experience these side effects on using boric acid eye wash stop using it immediately and consult an ophthalmologist. Also, in future check, the list of eye wash ingredients to make sure not to use a boric acid eyewash. Make sure to use eye washes containing boric acid only for mild eye irritation or mild eye allergy. Do not use boric acid eye wash if you suspect fungal or bacterial infection. Better see your doctor as you may require eye drops containing antifungal or antibiotic agents. Handle the bottle of eye wash with clean hands. Do not use the eyewash solution that appears cloudy or discoloured. Check the expiration date of the eye wash before using. If you wear lens remove it before using the eyewash.